Are you 100% sure that your home in California is well-secured? Well, if you haven’t looked into home protection and security lately, then you might be missing out on a very important aspect that you should have been considering. There are just some things that you cannot help but worry especially if you haven’t installed your security door locks. Did you know that on average it could only take about four minutes for an intruder to break into your property in Long Beach? You should have watched the news lately to see how people are affected with their poor home security. In today’s post, you’ll learn how to secure your property from intruders. For doors, you should have your door lockset installed so that criminals especially burglars and thieves wouldn’t find it so easy to break into your property using your garage door and main door entrance. This is one security measure that you should deal with especially if you live in a remote area where police visibility and neighborhood number isn’t that good. Check on your doors to see if they are strong enough and that they are made of hardwood or metal. You should have at least a very think door with a frame made of strong material. You should have your door secured and fitted into the frame for added security. 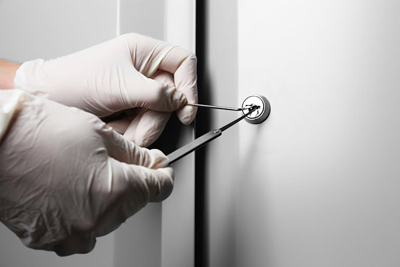 A solid and strong lock installation might not be enough if you got weak doors. They should altogether be made of thick and durable materials. You should have a peephole or a viewer to easily identify a visitor. As an option, you might also look into installing a door chain which could also help. 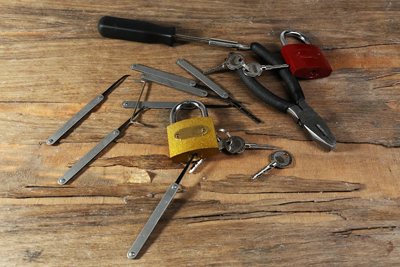 If your locks have been compromised or have been a subject for wear and tear, you should think of lock replacement so that you can be sure that the locks are properly working with the keys. If a lock fix isn’t needed, then you might consider upgrading your locks to deadbolts. They say that these are the best locks of all since they cannot be easily broken into or forced. Usually, they have an outside key and a thumb that can be turned on from the inside of your home in Long Beach. For the windows, you should think of installing locks in all your windows. For instance, you can think of securing your double-hung windows using pinning on the lower and upper frames using a nail. They can be removed from the inside of your home. For windows near the streets, you can think of installing accordion gates. Always make it a habit to close all the windows and doors and that the alarm systems (if you have) are turned on. Ultimately, securing your home from criminals all the time should be included in your priorities. You should know that compromising your security could be a high-risk. You should always make sure that protection measures as above are done to avoid any problems. Finally, check all the doors, windows, garage, and every possible entrance to your property by checking on the keys and locks.